Our company has multiple capital sources for these loans, including: Fannie Mae, Freddie Mac, FHA, national banks, regional and local banks, insurance companies, Wall Street conduit lenders, credit unions and private lenders. Whether you are purchasing or refinancing, we have the right solutions available. We will entertain loan requests of all sizes, beginning at $1,000,000. Click here to get started with a free loan quote. Simplified loan approval process for long term fixed rate financing for apartments, manufactured housing, mobile home parks, and cooperative apartments. Loan is assumable, subject to lender approval. 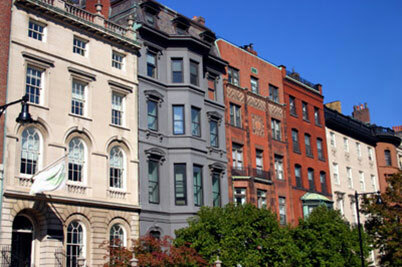 Freddie Mac is another nationwide source of mortgage capital for apartment building financing. Up until recently, Freddie Mac focused exclusively on large balance loans. Now, Freddie Mac has unveiled a small balance apartment loan program to compete with Fannie Mae. These loans have very competitive rates, flexible prepayment options, and allow for cash out. These loans are called hybrid ARMs as they have fixed rates for the initial 5, 7, or 10 years followed by an adjustable-rate period and 30 year amortizations. Available options include a five-year fixed followed by a 15 year adjustable, seven year fixed followed by a 13 year adjustable, and a 10 year fixed followed by a 10 year adjustable. All loans come with step down prepayment penalties (such as 5%, 4%, 3%, 2%, 1%) instead of yield maintenance. Select Commercial has the resources to get you the best terms! Call or click Get Free Quote for the best rate and terms on a commercial mortgage.